Putting my husband on the ‘Debra Diet’ is a very interesting experiment. I set out some rules. I would plan the menu and if I snacked during the day, I would text him so that he could snack too. The snack would need to be the same or a calorie equivalent. We would try the diet for 2 weeks and see if it made any difference to his weight or general wellbeing. The first thing I noticed after commencing the experiment was – The Cost. 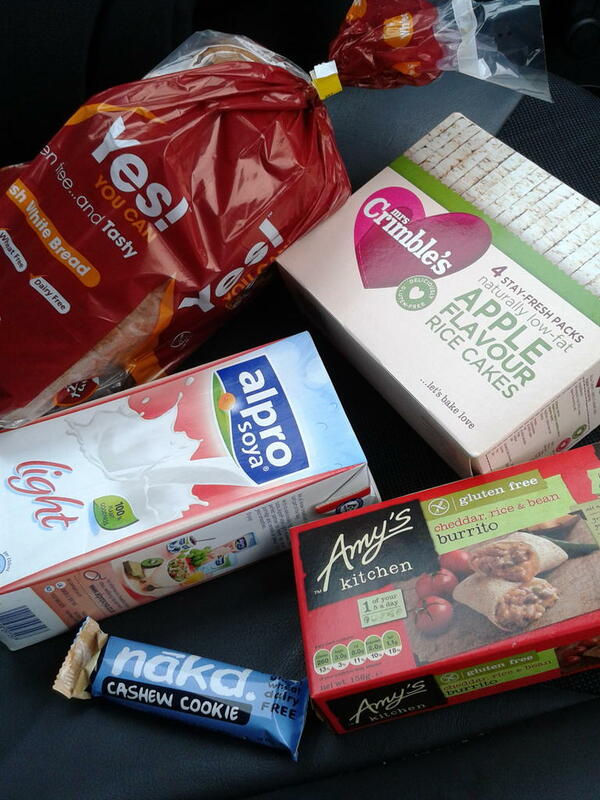 Twice the free from essentials like bread, cereal, yoghurt etc really increased our shopping bill. Secondly, I do snack. And I have naughty snacks like milk chocolate. Having a diet buddy definitely makes you notice these things! Thirdly, my diet could do with more variety. My lunches in particular are hardly inspired. Must try harder. This diet is free from eggs, dairy and gluten. Please note - I occasionally use foods with' no gluten containing ingredients' which are not certified as ‘gluten free’. Generally between lunch and dinner if you are really hungry - Apple rice cakes, cashews, dark chocolate, popcorn, Pom Bears, Nakd bars, fruit. Soup - generally from a tin, Sainsbury's has the best selection of own brand soup without flour. You can also find free from soup in the supermarkets and you could also try Look What We Found! soups. Of course, you can also make your own! Squash and chorizo is a favourite of mine. Alternative lunches - rice noodles, pasta salad, toasted sandwiches (I use Yes! You Can bread which is gluten and egg free), Amy's Kitchen frozen meals. Granola - I buy Sainsbury's own brand free from though you can easily make your own using gluten free oats. Porridge - I've started using Sainsbury's own brand rice and buckwheat porridge which is delicious with some banana, seeds, raisins and pecans mixed in! One week in, I've lost 1.5 pounds and I feel great! Hubby is going to wait until the end of week 2 for the weigh in. I'll keep you updated!